O gentle Heart of Jesus, ever present in the Blessed Sacrament, ever consumed with burning love for the poor captive souls in Purgatory, Have mercy on them. 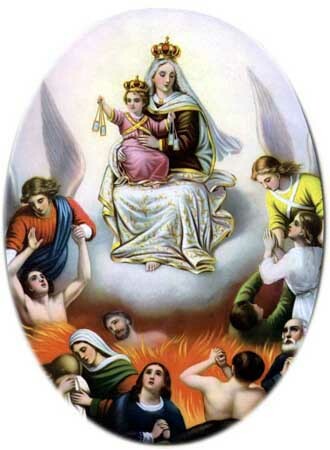 Be not severe in Your judgments, but let some drops of Your Precious Blood fall upon the devouring flames. And, Merciful Savior, send Your angels to conduct them to a place of refreshment, light and peace. Eternal Father, I offer Thee the most precious blood of Thy Divine Son, Jesus, in union with the Masses said throughout the world today, for all the holy souls in Purgatory.